However, the Byzantine-Arab wars and partial disintegration of the Caliphate, created pre-conditions for the restoration of Armenian statehood, and in 884 grand Prince Ashot Bagratouni was crowned as the new King of Armenia. Death of Ashot in 890, led to partial disintegration of the restored kingdom. 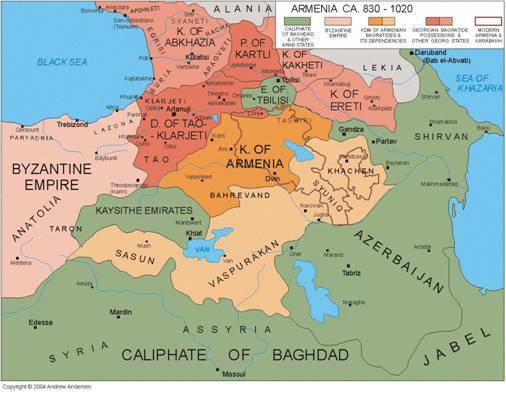 Ashot’s son Sembat and his heirs in fact controlled only small territory in North-Western Armenia while the rest of the kingdom was a conglomerate of princely states (Vaspurakan, Sasun, syuniq, Khachen, etc.) only nominally dependent of the Crown. 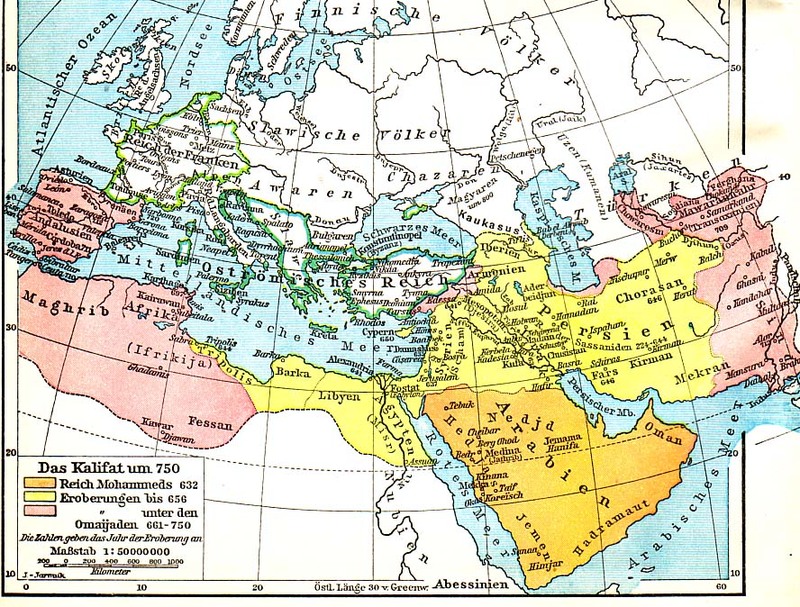 The beginning of the 11th century was marked by the disastrous invasion of the Seljuk Turks. In 1071 Seljuk army defeated Armenians and their Byzantine (East Roman) allies in the battle of Mantsikert, and by 1081, all of Armenia, Anatolia and other countries of the area were conquered and devastated by the Seljuks. Thousands of Armenians among them many aristocratic families fled their devastated country and found refuge in mountainous Cilicia partially Armenian-inhabited since the period of Tighran empire (187-70 B.C.). 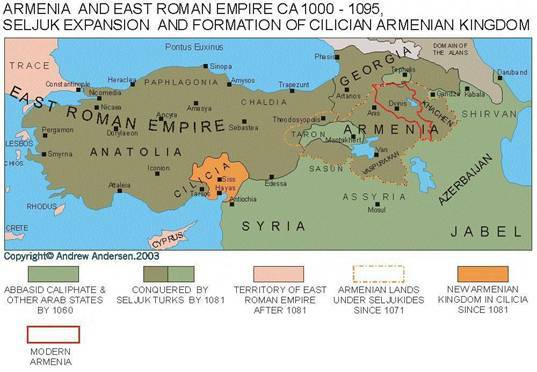 In the year 1081 new Armenian state sometimes mistakenly called “Lesser Armenia” was proclaimed in Cilicia by Prince Ruben related to the Bagratide Royal family.